January was such a productive and exciting month! That’s probably why it went by so fast! I’ve been sticking to most of my resolutions, and making a lot of progress in many areas of my life. I’ve been eating healthier and staying more active. I’ve been updating here more, which is my one of my favorite outlets. I got to be on two blogs that I absolutely love: Coast to Coast Challenge and Sometimes Sweet. I’ve also been going to sleep earlier. I’ve also been trying to be as positive as can be. I feel like I got a great start to my year! Now onto February we go! February is my husband’s birthday and Valentine’s day. So this month should be tons of fun! All of my pictures above are from my Instagram. My username is @littleredbowtique. Congrats on staying on top of your resolutions!!! 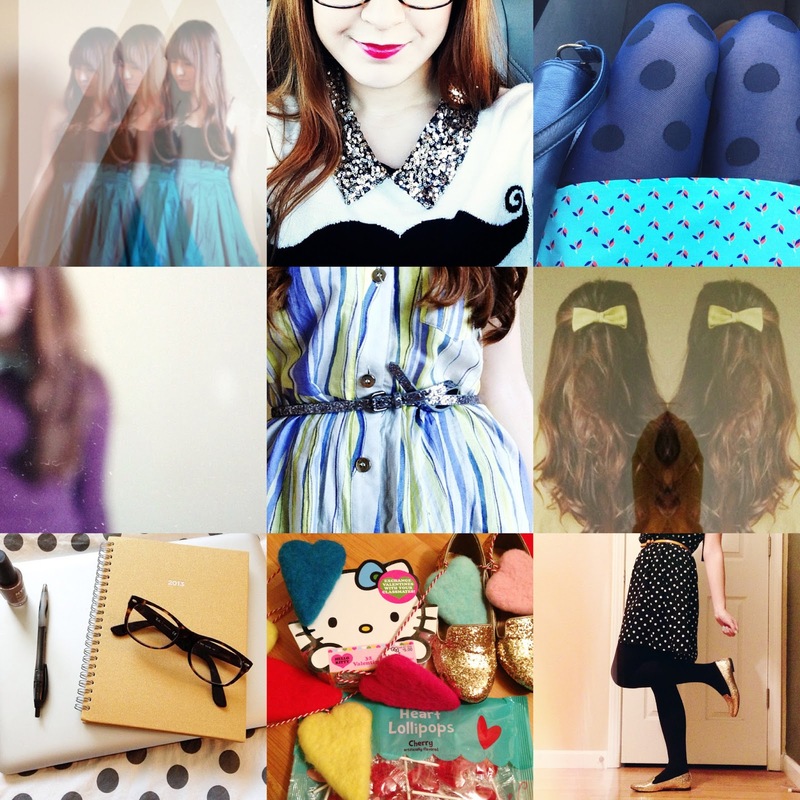 Love the amount of polka dots I am seeing in your pictures!!!! Thank you! Next thing you know it'll be Christmas again! Haha! So true! Candy fixes all things. These are all just adorable as are you!